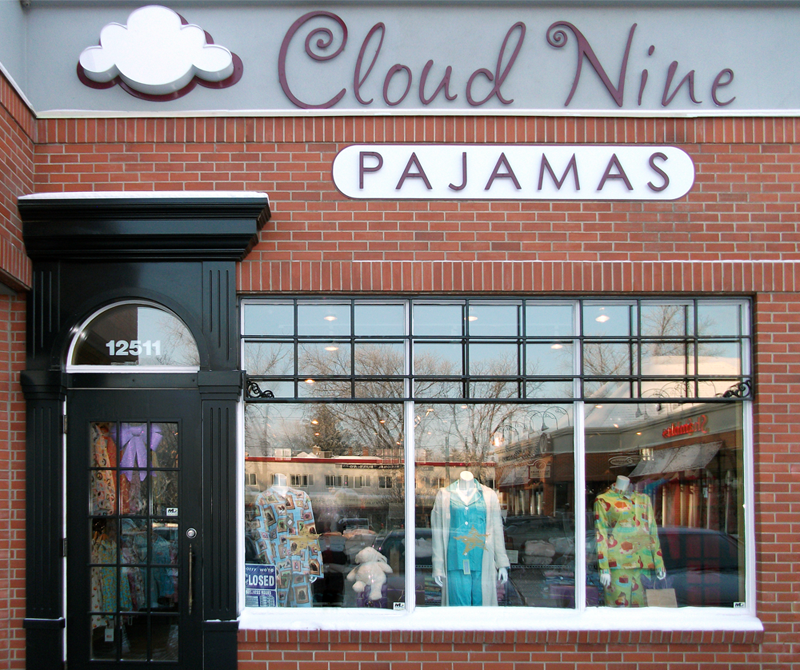 Cloud Nine Pajamas is Edmonton’s premier sleepwear and clothing boutique. We have 3 locations in Edmonton, and one in St. Albert to meet your shopping needs! Cloud Nine presents comfort as a way of life – where relaxation meets luxury and style to ensure you feel your best. After a full day of running errands, taking care of others, or working at the office, what feels better than putting on your favourite pair of pajamas? Or curling up with a coffee, good book, and blanket in a well loved loungewear outfit? We at Cloud Nine believe being comfortable is key to a healthy lifestyle; so lounge on a Sunday morning, put on your favourite pajamas after work, and relax in what makes you feel your finest. Meeting after meeting, the ladies of one Edmonton book club were talking not about books, but how they couldn’t sleep! As many of them were (and still are) in the thrust of menopause, night sweats were disrupting their sleep and making them a little bit grumpy. They needed something that would help, but couldn’t find anything in Edmonton that would fit the bill. With this in mind, Cloud Nine Pajamas opened in Edmonton, Alberta in 2005. Cloud Nine promotes a lifestyle of comfort by carrying everything from famous flannels, bamboo pajamas, Oprah’s Favourite Pajamas, “wicking” sleepwear for night sweats and traveling, buttery soft robes to bath and body products – they even carry footed pajamas for adults during the holiday season. As Robyn and Miranda (owners and managers) love to put on their pajamas every day after work because it makes them feel relaxed and at their best, Cloud Nine provides the pajamas and loungewear for every woman and man to do the same. So lounge, love, put on your pajamas, and be comfortable! Sorrentino's Compassion House Gift Wrapping at our Windermere & High Street Locations! At Sorrentino’s Compassion House we have a vision to create a sanctuary of healing support. We make it our mission to support women fighting cancer by providing safe, comfortable and affordable accommodations during their cancer journey. Compassion House Foundation was established in 1998 to build a facility to support Northern Albertan women with breast cancer during treatment and the early stages of recovery. SAIF (Stop Abuse In Families)Gift Wrapping at our St. ALbert Location! Local Shopping Edmonton. Boutique Edmonton. Clothing Boutique Edmonton. High End Boutique Edmonton.